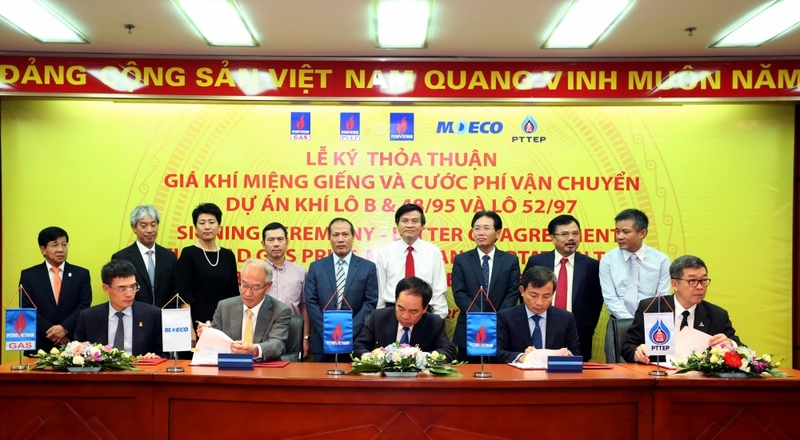 (VEN) - On September 1, 2017, at the headquarters of the Vietnam National Oil and Gas Group (PVN) in Hanoi, the PetroVietnam Exploration Production Corporation (PVEP), the PetroVietnam Gas Joint Stock Corporation (PV Gas), Japan’s Mitsui Oil Exploration Co., Ltd. (MOECO) and Thailand’s PTT Exploration and Production Public Company Limited (PTTEP) signed agreements on wellhead gas prices and transportation costs for Block B - O Mon Project. Deputy Minister of Industry and Trade Cao Quoc Hung attended the signing ceremony. PVN General Director Nguyen Vu Truong Son spoke about the progress of the project. 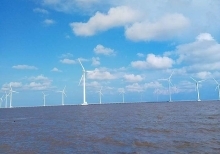 Blocks B, 48/95 and 52/97 are located offshore in Malay-Tho Chu basin, within Vietnam’s continental shelf, about 280km southwest of Ca Mau Province. This is one of the two largest gas projects in Vietnam. With annual extraction output of about 5.06 billion cu.m, the project will create a major source of raw gas supply for consumers, especially the O Mon Power Center and the Ca Mau Gas-Electricity-Fertilizer Complex. It is expected to bring in total revenue of US$47 billion, of which about US$18 billion will come to the state budget through tax payments. The project is believed to contribute significantly to the development of the southwestern region, as well as to ensuring national energy security, promoting local industries, and generating more jobs for local workers. Production sharing contracts were signed for Blocks B and 48/95 on May 28, 1996 and for Block 52/97 on October 19, 1999. Hydrocarbons Initially In Place (HCIIP) reports for Kim Long, Ac Quy and Ca Voi gas fields prepared by contractors have been approved by the prime minister. In February 2015, following the prime minister’s permission, PVN acquired all of the Vietnamese assets of US oil major Chevron Corporation, taking over Chevron’s stakes in three offshore blocks and in a natural gas pipeline project. Following successful negotiations, PVN, PVEP, PV Gas, MOECO (Japan) and PTTEP (Thailand) agreed to sign agreements on wellhead gas prices and transportation costs, paving the way for them to reach a consensus on necessary trade deals. The signing of these agreements enables contractors to make their final investment decisions, looking towards welcoming the first gas flow in late 2021. PVN General Director Nguyen Vu Truong Son emphasized that many challenges remain to be overcome to ensure successful implementation of the Block B - O Mon gas project from upstream to downstream stages. Therefore, PVN considers developing the project on schedule as an important political task that must be successfully fulfilled. At the signing ceremony, PVN’s leaders sincerely thanked authorities from concerned ministries and sectors, especially the Ministry of Industry and Trade and government officials, for their active support and timely guidance. 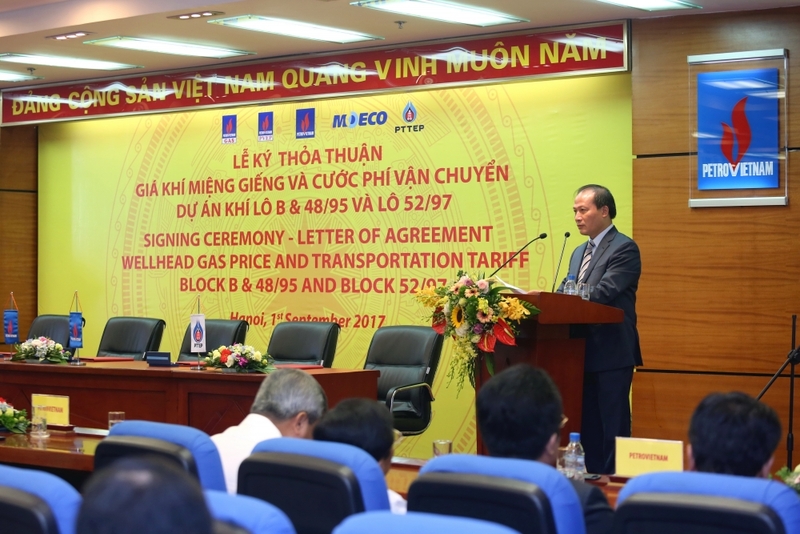 Deputy Minister of Industry and Trade Cao Quoc Hung, on behalf of this ministry, praised PVN, PVEP, MOECO and PTTEP for their great efforts to achieve positive results in recent times, especially the completion of negotiations to sign agreements on wellhead gas prices and transportation costs. 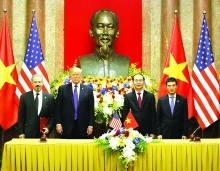 The Ministry of Industry and Trade pledged to maintain effective coordination with other ministries and sectors to accelerate negotiations on government guarantee for the project, as well as to provide guidance for the Electricity of Vietnam Group (EVN) and PVN to achieve as soon as possible a gas sales agreement and submit it to the government for approval. The Ministry of Industry and Trade and other ministries will also provide guidance for EVN to promote the construction of power plants that will use gas from Block B on schedule. The Ministry of Industry and Trade has requested PVN to coordinate tightly with investment partners in efforts to welcome the first gas flow in late 2021 and ensure successful implementation of the Block B - O Mon project from upstream to downstream stages. The agreements on wellhead gas prices and transportation costs were signed in the presence of high-ranking leaders. 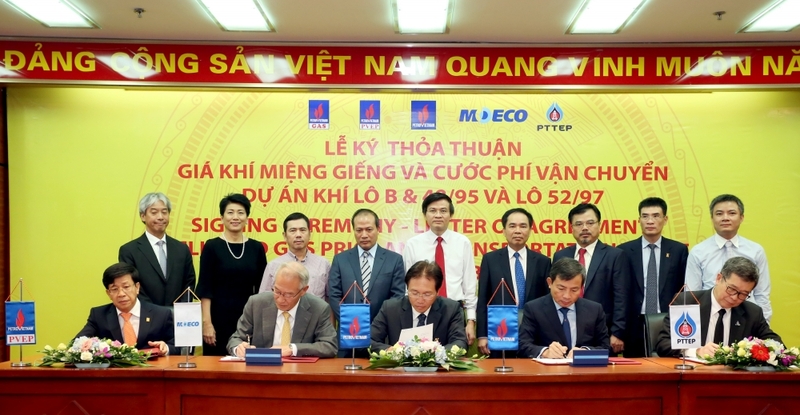 PV Gas General Director Duong Manh Son, on behalf of this corporation, signed the agreement on transportation costs.